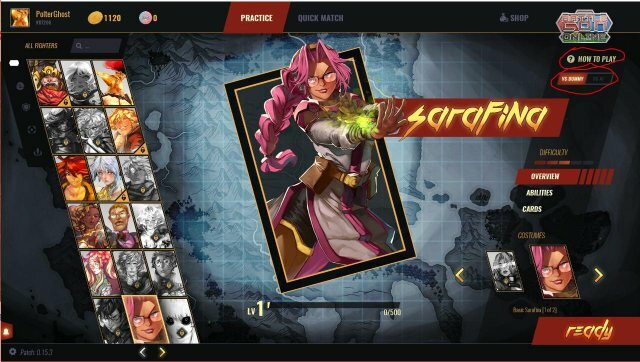 How to interact with BattleCON Online. If you are a current BattleConnection user, things might work a little differently here than they do for other Steam users. The first thing you'll come across is the login screen. 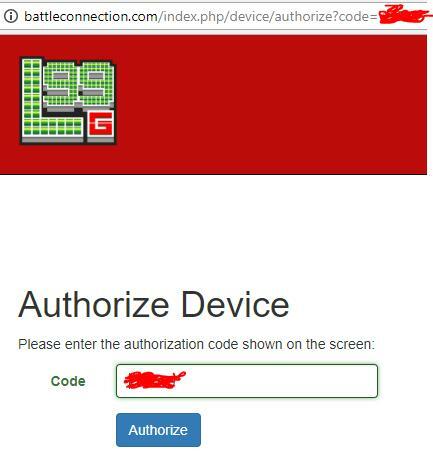 Depending on whether you have a BattleConnection account or not, you'll be able to put in your email and begin the login process. Steam users should be able to put in their email and then create a user ID for themselves, which will bring them directly into the game. Otherwise, older BattleConnection users will need to Authorize the connection of their account to BCO. Authorize through this webpage, then confirm through the BCO client. You should now have successfully logged into your account, and you won't be required to log in again as long as you never manually use the "Log Out" function. The game will automatically log you in every time you open it. This is the landing screen, where it lists new patch information, new character releases, and specials on microtransactions. 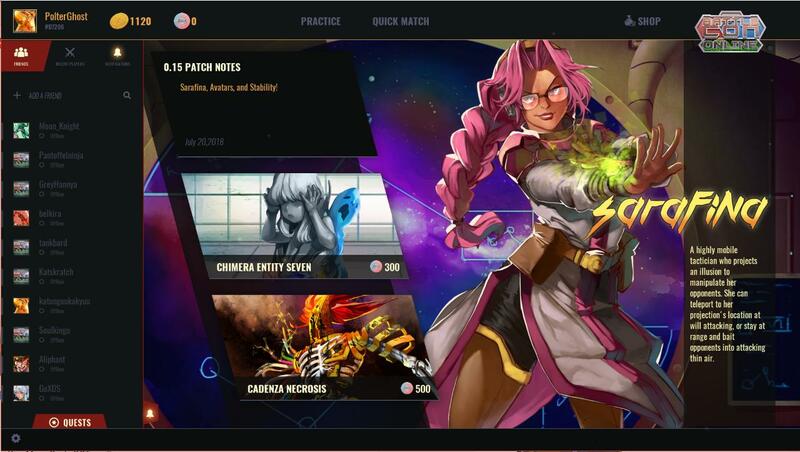 By using the buttons on the top of the screen, you'll be able to access the single-player Practice mode, the multiplayer Quick Match mode, and (soon) the Ranked mode. On the practice mode screen, you'll be able to select between choosing to fight a practice dummy or a (currently poor) AI bot character. You can use these modes to ease you into playing new characters. 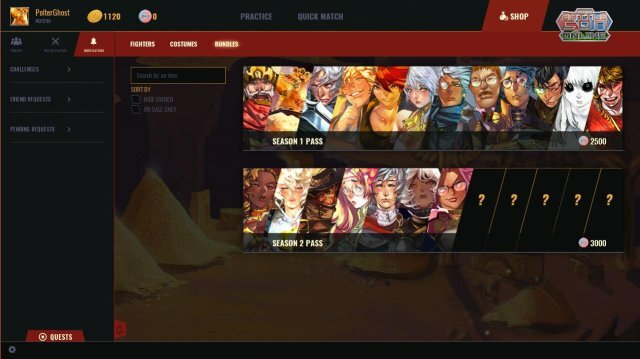 Available characters will be listed on the left side of the screen. You can use the arrows at the bottom of the screen to switch between pages of characters. In red, you'll see the costs in Gold and BattleCOINS to unlock a new character. 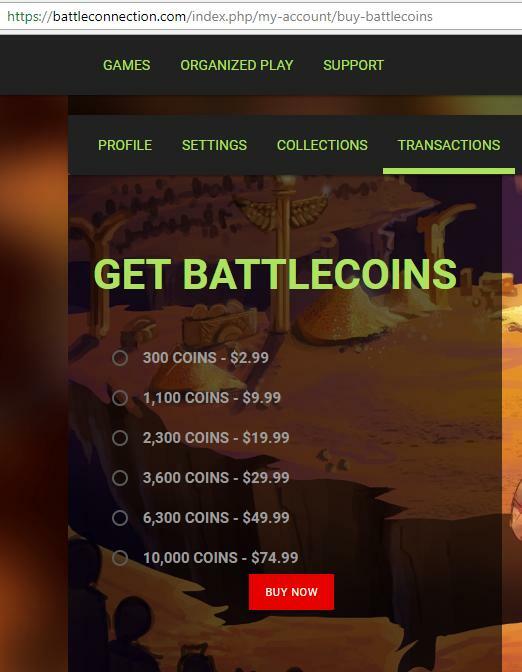 Gold is the F2P currency, BattleCOINS are paid for. 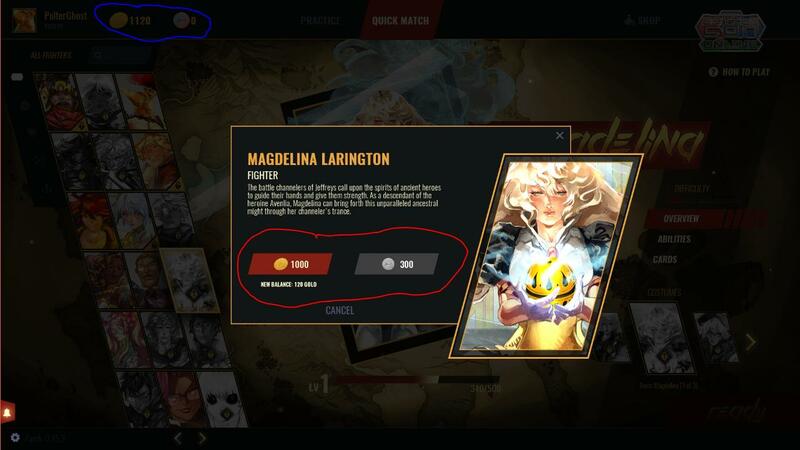 In the blue circle, you'll see your current amount of either currency. 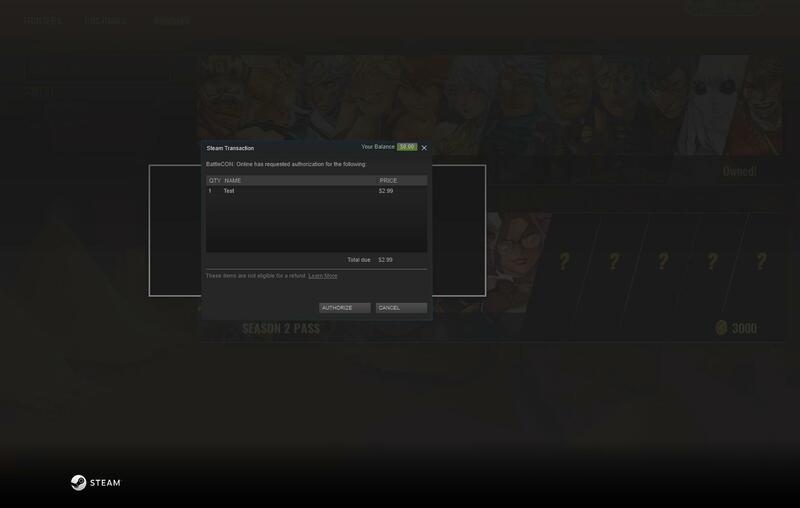 Unlocking a character permanently unlocks it for your account. Here we see the character options. 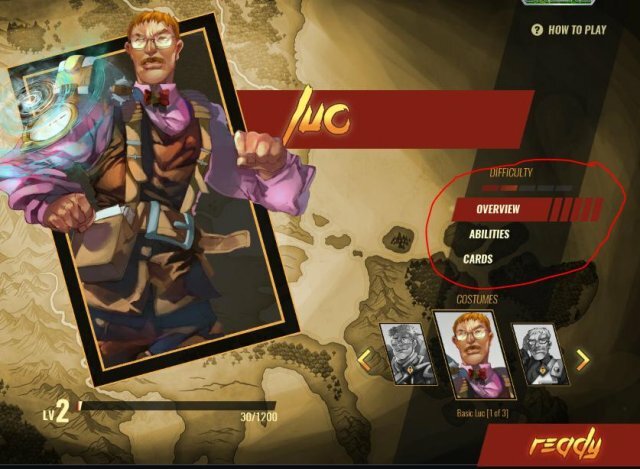 Using the options on the left, you can look at the character's difficulty to pilot successfully, look at their available cards and abilities, peek into their background information, and switch between their available costumes. You'll also see the Level bar, which increases as you play games. As you gain levels, you'll gain new bonuses, such as currency, costumes, and player icons. If you want to support the developers, feel free to buy coins and get yourself some costumes or characters. You can unlock new character-based icons by leveling a character to level 3 and level 10. New icons will also be available based on tournaments, ranked seasons, and purchases through the shop. On the left side of the screen, you'll be able to open up your friends list, your recent matches/game replays, and your quest bar. 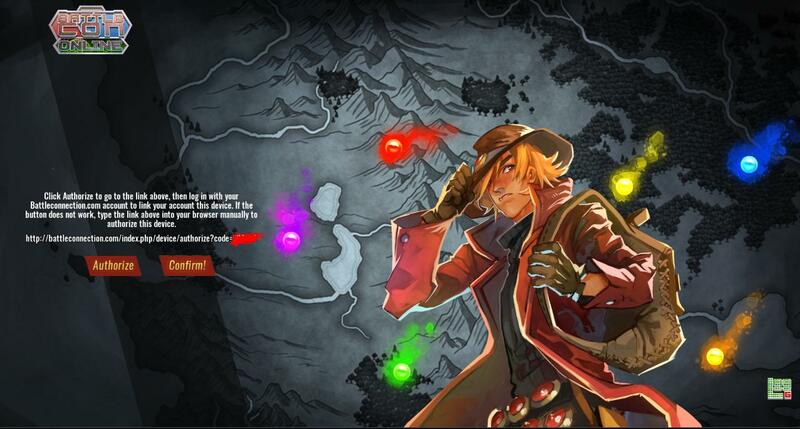 You will be able to store up to three quests to help obtain gold, and you can queue up to three more quests in storage. In essence, you can complete 6 quests in one day if you store them all up. In the lower left, you'll be able to open up your game settings, which allows you to change your screen settings, volume, and close the game. 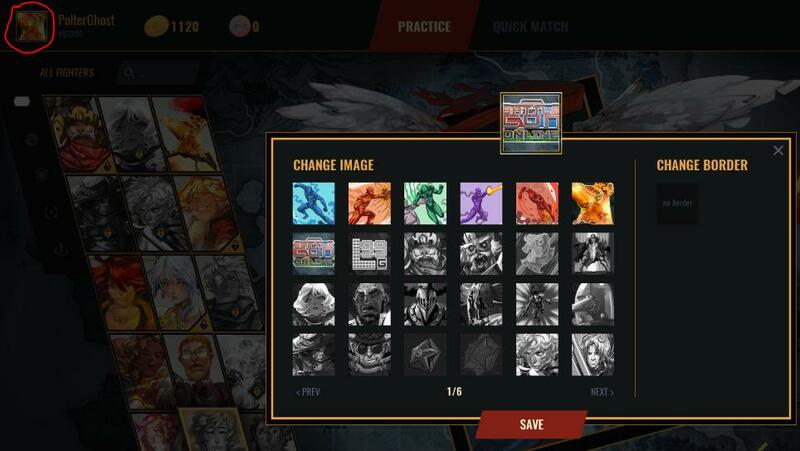 Once you're ready to play a match of BattleCON, select an available character and press the Ready button in the lower right to enter the queue. When you begin the game, you will see the main screen. In red, you can see your current Life and Force Gauge. In yellow, you can see the current Decision Timer as well as the Current Beat. In the blue area, player discards will be displayed. You can also click on the hand button to open up your hand or your opponent's hand, and you can click on the star icon to open up the character's Unique Ability reference. In green is the current Beat's phases. Each phase becomes highlighted as the Beat moves forward. During this startup, you can set which cards to put into your discards by cycling through your styles and bases with the left and right arrows in the bottom center of the screen. 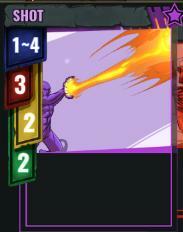 Clicking on a card directly will cause it to zoom in. 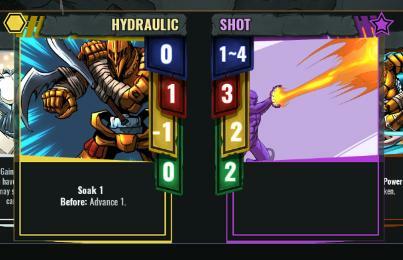 After the game has been set up, you will be able to see both your discards and your opponent's discards. 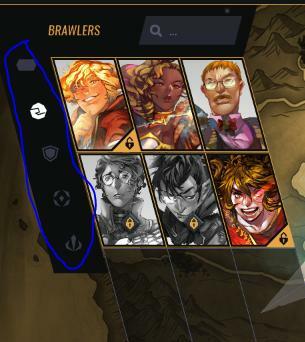 In the red circle will be the character finishers. 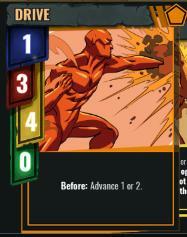 The highlighted finisher is the one that your opponent currently has available to them. By clicking on a finisher, you can zoom in on it. 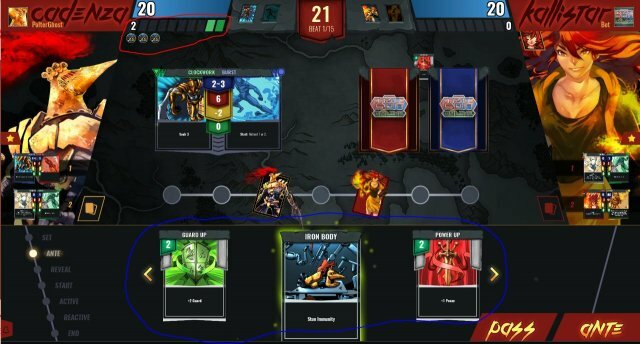 In the blue circle, tokens and counters will be stored. You can click on individual tokens to zoom in on them and receive details on their use. In the center of the screen will be the player board. Here, you can see all 7 spaces, and you can see which characters occupy which spaces. The character in the gold border will be yours, while the red border is the opponent's. Circled in the center of the board is a marker. Clicking on a marker will zoom in on its details. Markers point to which space they currently occupy. At the bottom of the screen, you will form your attack pairs. You can cycle the styles and bases separately using the arrows. When you have decided on your pair, you can press Ready in the lower right, or you can let the timer run out (60 seconds.) If you have enough Force to activate your Finisher, it will appear in the Style roulette. Afterwards, you will be able to input antes. If you have enough Force to use Force Overloads, they will appear here. To input an ante, select it using the roulette, then press Ante. Otherwise, press Pass. When both players Pass consecutively, the attack pairs are revealed. Attack pairs automatically have their stats calculated for you. Using the roulette system, you will be able to form different Attack Pairs by combining their stats and card text together. Every character uses the same 6 Bases, and they provide an additional unique Base and five unique Styles to modify their attacks with. By modifiying Bases, characters will be able to maneuver around the board and strike at various distances, speeds, and powers. A slow, defensive attack that allows the user to retreat towards a corner. A ranged attack with a modicum of defences. An evasive maneuver that doubles as a means to reposition on the board. Each Base has its own particular strengths and weaknesses, able to hit at different ranges and resist different power levels of attacks. By combining them with Styles, you can make up for their weaknesses or further develop upon their strengths. 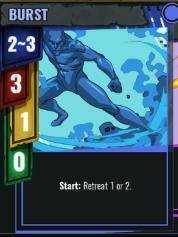 Blue: Range, the distance from which the attack hits. Red: Power, the damage dealt. Yellow: Priority, determines who strikes first. 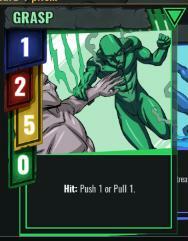 Green: Stun Guard, protects against damage to allow a counter-attack. Each character also has use of two different Finishers, which have their own set of stats. By using the Switch Style, players can swap out their Finisher for their other one. At the start of each Beat, players choose an Attack Pair to play. 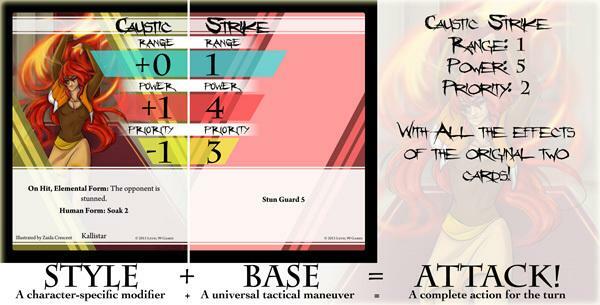 Then, both players move to Antes, where they can modify their attack pairs by spending Force or Tokens. Force can be spent on Force Overloads, which can increase stats at the cost of 2 Force. 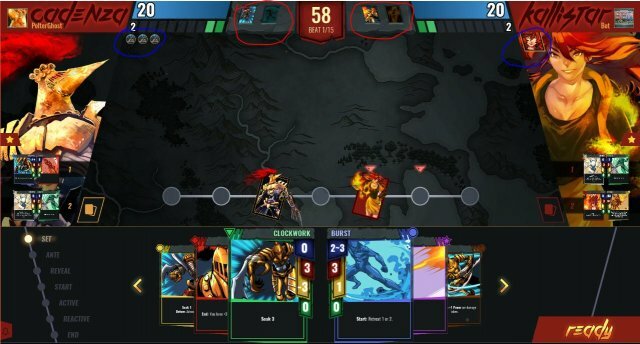 Afterwards, both players reveal their Attack Pairs and determine the Active Player by seeing which player has the higher Priority value. 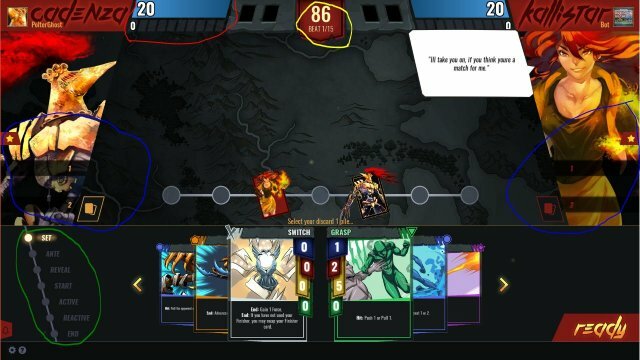 If both players have matching Priority, they Clash, forcing them to switch out their Base for a new one from their hand. It is possible to Clash using every Base, which forces the Beat to terminate early. 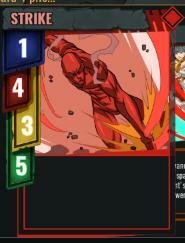 If one player uses a Finisher, it automatically will go first if there is a Priority tie. Then, starting with the Active player, both players perform Start of Beat effects. Afterwards, the Active Player performs their attack activation. They do all Before effects, check to see if the opponent is in range. If they are, they do Hit effects, and then they deal Damage equal to the attack's Power minus the opponent's Soak. Regardless of whether they hit or not, the Active Player performs their After effects. If the Reactive Player was hit, they may be stunned. If they are, they do not activate. To resist stun, they need Stun Guard equal to or greater than the Damage they took this Beat. If they are not stunned, they perform their own attack activation. Afterwards, both players perform their End effects. Then, used Attack Pairs go into Discard 1, Discard 1 is moved into Discard 2, and Discard 2 is moved into the player's hand. Both players then gain 1 Force, with players that played Switch gaining +1 Force, with an extra +1 Force if the player has 7 or less Life. 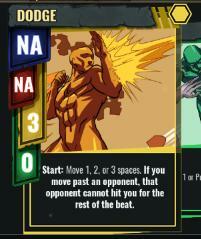 Players can spend Force to activate their Finisher. Finishers appear in the Style roulette if they can be used during the current Beat. 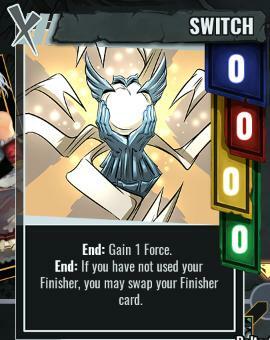 It costs Force equal to the player's current amount of Life to activate a Finisher. Play 3 Games as a specific class. When starting off in BCO, you should notice 2 things: There's almost no Tacticians, and the "play 3 games as [class]" quests come up fairly often. You should then note afterwards that Tacticians are probably not as simple as one would hope. Your first character: Kallistar. She's inexpensive and has a fairly unique playstyle that doesn't require knowing how you should ante tokens. She's got Soak, which acts as a nice safety net and helps you learn about the value of defenses. When she shifts forms, she's got a ton of speed and power, which lets you feel awesome and contest people in speed. You'll want to play her mostly in Human form, since it has a lot of repositioning ability to make up for her really odd ranges. 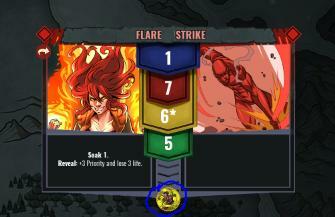 When she uses Volcanic or Spellbolt, she can't hit directly next to her. Learn her, use her, abuse her. How to seriously learn to be abusive with your positioning: Cadenza. He's not on the cheap list, but he's also a killbot, so it makes it worth the extra 300 gold. You learned how to position with Kallistar and how to combine Soak and Stun Guard to resist damage. Now let's take all of that and throw it out the window, because now you need to learn how to play a Heavy. 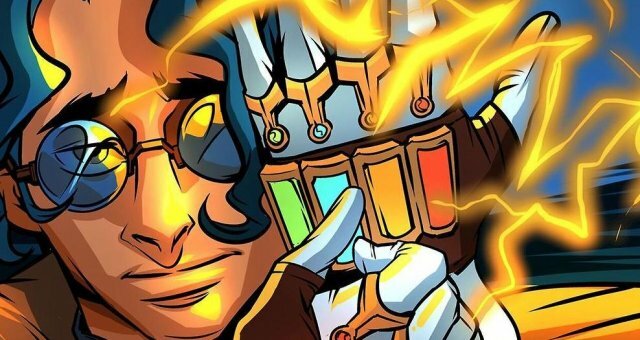 Cadenza can just ignore things that would stun him up to three times a game, but his ability to actually land hits is incredibly reliant on knowing how to take the center of the board and how to combine your attacks to throw off your opponents. If you use Dodge at the wrong time, you probably lose. Waste your Shot at the wrong time, you probably lose. 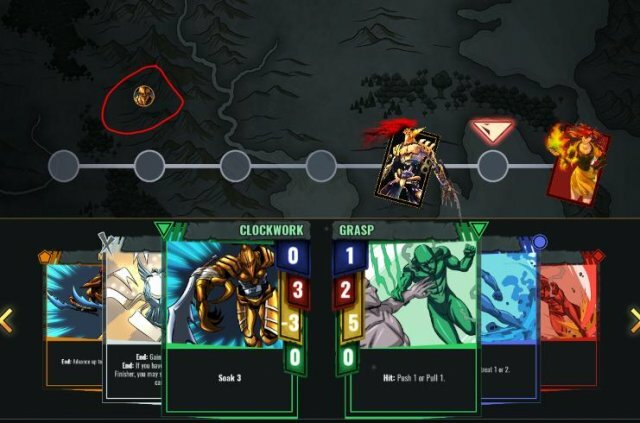 Can't predict when the opponent is likely to use their Ignore Stun Guard ability on you? Yeah, you're losing. Granted, Cadenza is dead simple and has extremely basic abilities, but the onus is on you to learn how to use them all effectively. How to use everything you learned about positioning and combine it with slamming people face-first into the concrete: Shekhtur. Like Cadenza, Shekhtur hits like a truck, but has to deal with really awkward attacks that can easily leave her being punished if she's out of position. Like Kallistar, she's inexpensive and can go really really fast when she wants to. Combine the two, and you've got what is one of the most polarizing characters in the game. Is she for noobs? Does she crush noobs? Is she broken and just beats everyone that can't deny her from playing Combination Drive and Jugular Shot? Whatever the case is, she's absurdly powerful once you know her limitations. Take the center of the board, abuse your speed and power, and never let the opponent escape your death vortex. How to take everything you've learned and turn it back around on your opponent: Basically any Tactician. Every Tactician has their own advantages and disadvantages, and I personally don't believe that the listed difficulty is their real difficulty. The benefit of playing a Tactician is that, now that you've learned what kind of positioning you need to do your real powerful stuff, you can now play a character whose entire goal in life is to stuff other people's positioning in the toilet so they can't do the same to you. Your preferred Tactician may vary based on personal feelings, but I'll go over them in order of what I believe is the best to start with, to...least best, since it's not like there's a such thing as a bad character. Khadath: Extremely simple. He tosses down a marker that prevents the opponent from moving closer to him, and it slows the opponent down if they remain next to it. 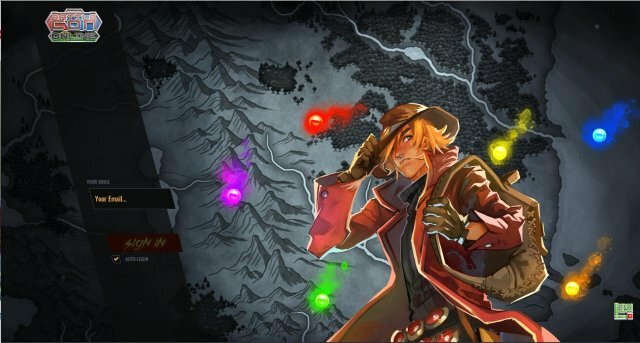 He has two extra dodges, huge range, the ability to just reposition the board on whim, and is pretty much the most straightforward you can get with being a control character. Kimbhe: She was originally a Brawler, but her usage of her staff marker does require some intelligent use. She's got fast attacks, she's got slow attacks, she's got a ton of range, and she can typically abuse her staff and her big guard scores to do excessive amounts of damage. She isn't really a control character in most circumstances, she's more of something like Kallistar with extra control abilities. Karin: Karin requires a lot of thought to make work, but she's effectively a control character who relies on combos to do her damage. 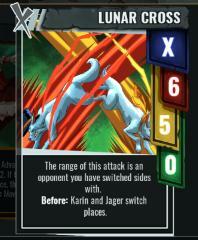 Her Jager marker basically interacts with all of her attacks in different ways, usually to limit the opponent's options by moving them, preventing movement and attack activations, or just letting Karin jump to the other side of the board. Very rewarding, but takes a bit of effort to get going. Sarafina: An interesting addition to the Tacticians, she relies on a lot of effects that allow her to outspeed opponents, block power boosts, and dodge attacks. Unfortunately, she's not really a control character. In fact, the opponent is usually the one controlling her, by preventing her from using her own Unique Ability to move across the board and get to her preferred range (adjacent to the opponent.) She won't really teach you much more than just playing Cadenza or Kallistar. From here, you should try moving on to new characters that interest you. Each character has a unique playstyle that fulfills different archetypes. 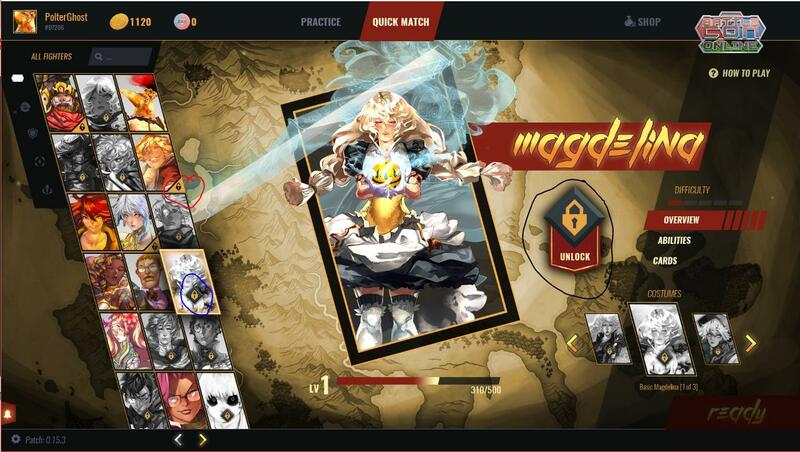 Magdelina and Marmelee are specialists that get more powerful the longer they stay in the fight. Rukyuk is an explicit ranged character who attempts to outstat people while keeping them in specific ranges. Alexian is a ranged heavy that trades better when he's further away from his opponent. Cesar is a control-type heavy that punishes the opponent for performing certain actions. Whoever you find is the most interesting concept to you, you should play a few games with them and figure out their tricks. The only way to improve is to practice, and practicing with the same characters lets you learn all of their strengths.